If members and guests attending the May Todmorden U3A general meeting expected Sally Pulvertuft’s talk on India – Extremes and Contrasts to be traveller’s tales accompanied by a plethora of photographs, they were soon disabused. There were a few photos but perhaps more displays were quotes on India from others than herself. Sally has been a businesswoman then latterly an educationalist. She first went to India as a 22 year-old, and was captivated, like so many before and since, from the very start. There was nothing familiar about the place. It was such a profound experience that she did not visit again for another ten years through fear that any subsequent visit would never live up to that first, life-changing experience. It made her look at the world in a completely different way. This quote might have been written for that first visit. “India is exhausting – it hits all your five senses at once.” Everywhere, Sally said, was surrounded by colour; and much of that is seen in fabric. That, too, is everywhere, lived under and eaten under, as well as on the person. The other thing Sally thought amazing was the people, they too, were everywhere. On a train, hanging off the top; a motor bike going past with ten people hanging on it. And Indians were always smiling and open, ready to engage. She saw bodies carried in the street in the spirit of celebration, as in the Hindu tradition the deceased was moving on and there is an acceptance of this because there is a completely different underpinning of society. Sally told her audience that she would talk about her travels – she has been going there for 35 years – but also raise questions, as part of her experience of India is that it always raised questions of herself, of our society and things we take for granted. She would also talk about education, the theme that has her keep going back. The first question that was raised in her mind on that first visit came from talking with a young woman. Both Sally and her travelling companion of about the same age had been divorced and talked with a young, well educated Indian woman about her arranged marriage. The young woman challenged them by remarking that the western marriage tradition didn’t work so well as they had both divorced at an early age whilst she was still married. 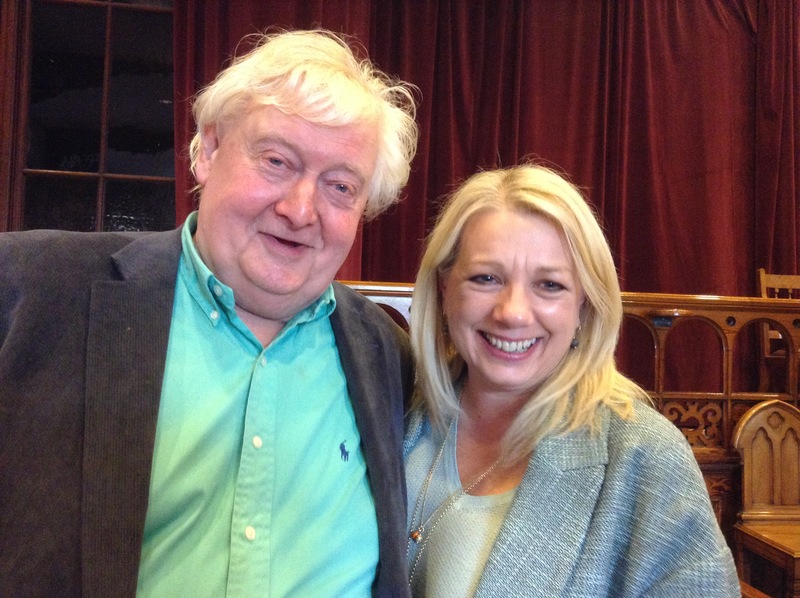 Sally’s work in education took her back there every few months over a ten year period. She worked with students and supported companies starting up and was able to see the growth of a superpower. She saw cities rising out of the ground; companies with a handful of staff which three months later would have a hundred, three more and they had an office block. Such was the rate of growth. The diversity of India can be summed up by the 120 official languages out of the 780 recognised languages that are spoken. The median age of there is 27, in China 37, in the UK 40. India has a young population as 65 per cent are under 35. This poses a big challenge for education and British universities are supporting the country in trying to build the necessary education infrastructure. Sally has been working for the last 15 years trying to help build that infrastructure to meet this need. There are English speaking young people, highly educated in a high quality education system, for those that it can reach, who have a naturally external pluralist view and are entrepreneurs. These are the young people British young people are going to be competing with for jobs. The young in India are highly motivated as they see education as the way out of poverty. Global Connections is a social enterprise organisation that Sally is involved with. It gives “gap years for oldies”, as Sally put it. One of their projects is the Toilet Museum, in the top ten of the weirdest in the world, according to Sally. It was set up by a man who has the mission to provide every home in India with a toilet. He looked at the lot of the Dalit – Untouchables, who had the task of dealing with human waste. He wanted to eliminate the need for that task and to help women who had to go into the fields in the evening if they had no toilet. This made them exposed and vulnerable. The museum shows the work of the project with various designs of toilets that can be used anywhere without the need for drainage and sewers. The waste can be recycled and used on the land for example. There are many examples of social enterprise across India applying practical ways to solve various social problems. Sally moved on to education and spoke about a project that had increased mature women’s literacy by 25%. Sally thought that amazing but was pulled up short when told that it leaves 300 million women still illiterate. Her most satisfying work, she said, is with Professor Sugata Mitra, Professor of Educational Technology at the School of Education, Communication and Language Sciences at Newcastle University. Sally played a couple of minutes of a TED talk that Mitra gave outlining his work. He is most famous for “The Hole in the Wall”, which became the inspiration for Slumdog Millionaire. Educating children in rural India is a problem as young teachers want to work in the city. Mitra conceived the idea of placing a computer in a whole in the wall rather like an ATM and just leaving it with a camera focussed on it. In three months, illiterate children had taught themselves how to use it and were learning English. Research showed that children learn quicker this way, outstripping children spending the same number of hours in front of a teacher. The World Bank gave Mitra some money to set up a project to research the use teacherless schools in rural areas as a way of dealing with the lack of teachers. Mitra went on to develop the “School in the Cloud” for which he won $1m dollars TED prize. Mitra recruited retired teachers and other educational professionals to teach English to children in rural India by distance learning on the internet, using webcams. Sally said the project is always looking for more retired teachers to get involved. She said it could also be applied in the country, giving the teaching of apprentices as an example. For perspectives on other aspects of Indian life, Sally recommended a series of essays by Amartya Sen, “The Argumentative Indian”. Sally’s talk included an amusing family anecdote of driving two tuk-tuks, and how one of her teenage sons adopted the Indian entrepreneurial spirit whilst there. And her talk was interspersed with reflections on the similarities as well as the differences between Britain and India, and what challenges we may expect in respect of our place in the world as we move further into the twenty-first century. Jean Pearson moved the vote of thanks and presented a token of appreciation at the end of a much appreciated talk. 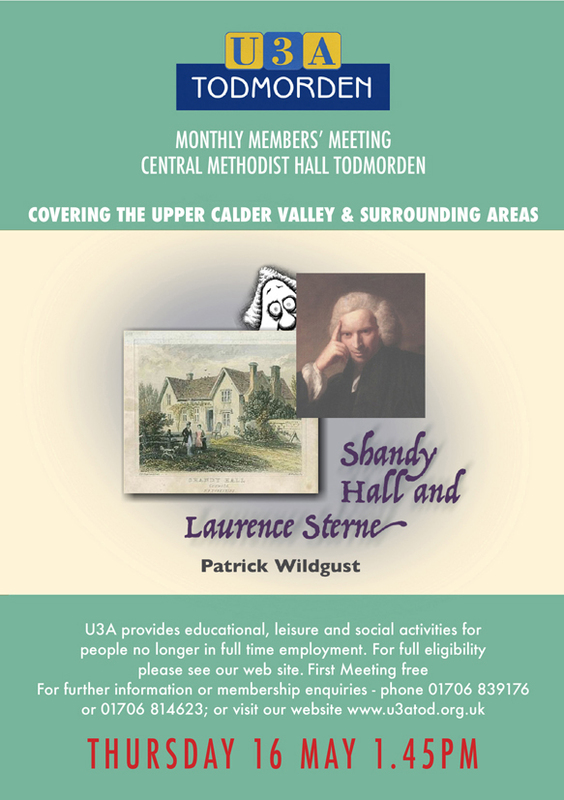 The next general meeting of Todmorden U3A is at 1.30 pm on Thursday 18 June at Central Methodists, Todmorden. Lynne Midwinter of Physiotherapies will speak on Back Issues. Details of group meetings are on u3atod.org.uk or phone 01422 844713 or 01706 839176.